The Social Security Organisation (Socso) has recorded an average of 43 deaths of workers per day last year, involving industrial accidents and non-communicable diseases. 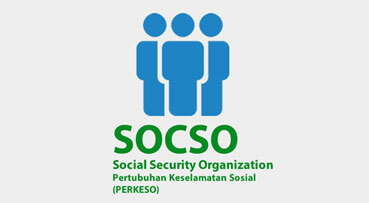 Socso chief executive officer Datuk Dr Mohammed Azman Aziz Mohammed said among the non-communicable diseases that had caused the death of the workers were hypertension, heart diseases and diabetes. "The number of industrial accidents had increased by six % to 33,319 cases last year from 31,314 cases in 2016, while fatal cases saw a slight decrease to 924 cases last year from 963 cases in 2016," he told a press conference after the briefing and hand-over ceremony of Socso grants here today. At the event, Socso chairman Tan Sri Dr AsehChe Mat presented the grants totalling RM5,804,007.50 to 32 selected institutions and non-governmental organisations to implement 704 accident prevention programmes, including seminar, courses and consultancy. Meanwhile, acting director-general of Malaysian Institute of Road Safety Research (Miros) Dr SitiZaharah Ishak, who represented Miros in receiving the grant, said Miros had always concerned about the safety of workers using motorcycles to go to or returning form work.